This is an emergency! Take out the paddles and zap some life into your style with this 'E.R.' 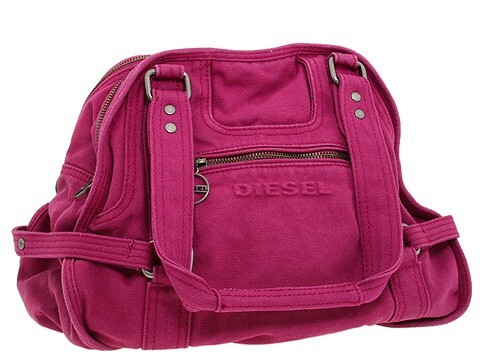 bag from Diesel. Satchel style shoulder bag made of canvas. Holds your wallet, sunglasses, personal technology and a bottle of water. Dimensions: 11 1/2 wide x 7 deep x 10 1/2 high. ; Dual shoulder straps. Shoulder drop: 7 1/4 length. Front exterior zip pocket. Platform bottom. Top zip closure. Interior lining with a back wall zip pocket.